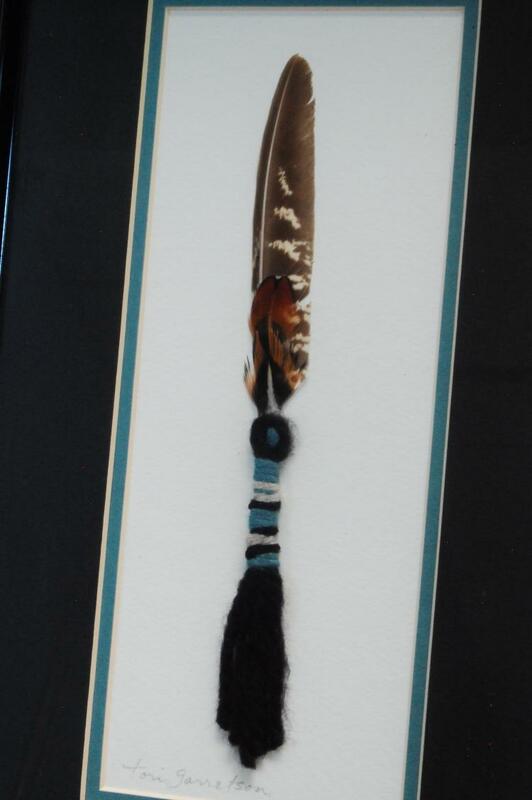 Description: Signed Emily Blackhorse Navajo, Good Condition, No chips, Dusty. Description: Nice Lot Of Arizona Found arrowheads, Pottery & Odd iron Axe Head? Description: Good Condition, No Chips, Does Have Light Speckling of House Paint? Description: Good Condition, No Chips, Hand Painted. Description: Good Condition, Unsigned, Many Other Small Gourds In Basket. Description: 30''x19'' Zuni Sun Face Is Covering a Tear in The Rug. Description: In Good Condition, Tilting Mirror. Description: Very intricate Carving on the gourd. 30 plus animals and people on this 4'' tall gourd.